President Donald Trump announced Wednesday that Matthew Whitaker will serve as acting attorney general after Jeff Sessions resigned from his position — but who is Matthew Whitaker? Whitaker served in the Justice Department from 2004 to 2009 as the U.S. attorney for the Southern District of Iowa under former President George W. Bush. He resigned after Nicholas Klinefeldt was appointed by former President Barack Obama in 2009. Whitaker launched an unsuccessful bid for a U.S. Senate seat in his home state of Iowa in 2014. Running on the Republican ticket, he came in fourth place in the primary and received 7.5 percent of the vote — GOP Sen. Joni Ernst of Iowa ultimately went on to win the general election. As a candidate, he advocated for a constitutionally limited federal government and campaigned on lower taxes, free trade, stable currency and protecting individuals’ personal property rights. 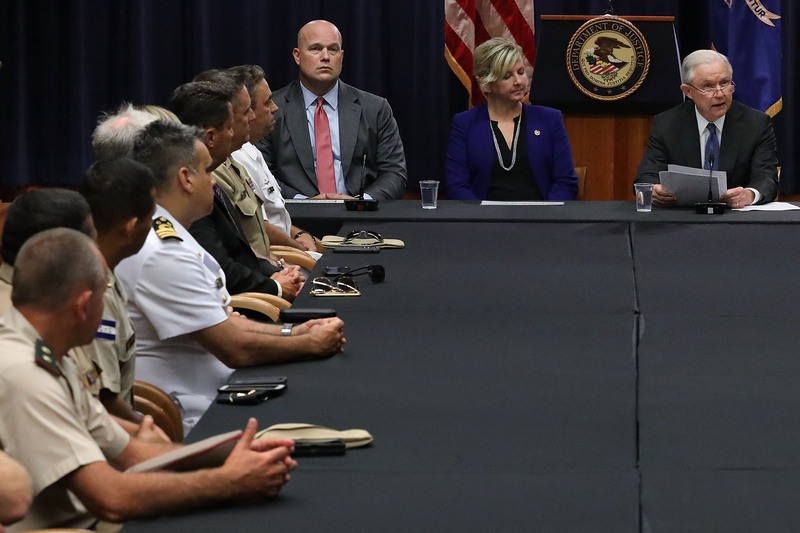 Prior to joining the Department of Justice, Whitaker argued that the special counsel went too far during an investigation into Russian election meddling. With respect to investigating Trump’s finances, Whitaker noted in a 2017 op-ed for CNN that special counsel Robert Mueller came “up to a red line … that he is dangerously close to crossing.” The Justice Department announced that Whitaker will overtake the supervision of the special counsel from Deputy Attorney General Rod Rosenstein. Whitaker served as the chief of staff under former Attorney General Sessions at the Department of Justice. He replaced Jody Hunt in 2017 after his nomination to become the assistant attorney general heading the department’s Civil Division.